What is the airbag control module? If you haven’t yet heard about the airbag control module in your vehicle, there is a lot for you to learn. This unit—though small compared to other parts of your vehicle—serves a crucial role in preserving your safety and operating your vehicle. Wondering what the airbag control module is? Basically put, the entire airbag system runs through and operates by the airbag control module. Without the module, the airbags in your vehicle would not work, or would deploy, during a sudden stop or collision. As a result, driving without a properly operating airbag control module can serve as a giant safety hazard. During a collision, airbags are what prevent occupants of a vehicle from colliding into other objects or people inside the vehicle or from completely projecting through the windshield. Without an airbag control module present, both drivers and passengers alike would not have such protection. 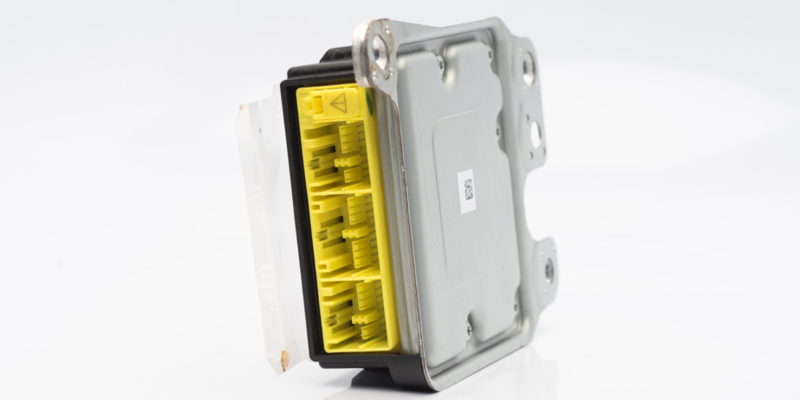 What is also important about the airbag control module is that it stores crash data and hard codes. This information is what courts sometimes retrieve and use to decipher the events leading up to and during a crash. The unit can store vehicle and engine speed, throttle position, brake light switch position, seat belt use, impact speed change, and airbag and pre-tensioner deployments. This is quite a bit of useful information stored in one simple module. 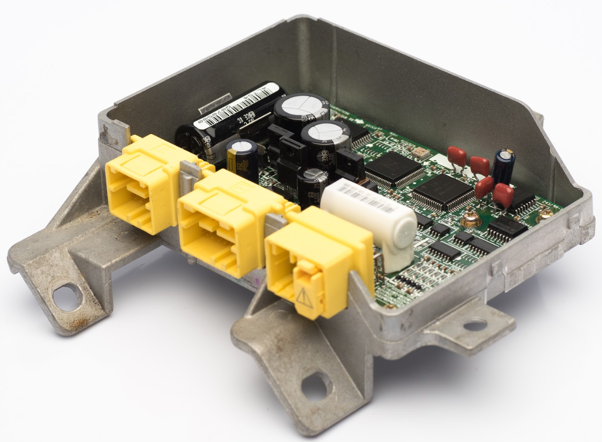 Heavy-duty vehicles such as trucks and buses are equipped with something similar to an airbag control module—an engine control module, or ECU. ECUs actually record a lot more information than airbag control modules do—they can store information up to 60 seconds before a crash! After airbags deploy, nothing but a reset or getting a brand new unit will allow you to get rid of the codes. The first option is much more practical and affordable. A company that can do an airbag control module reset for you is Safety Restore. Video – What is the airbag control module? Will my car run without an airbag module? In life, there are many chances we can take. However, that doesn’t mean that all of them are wise decisions or ones we should be taking. Driving a car without an airbag module is a perfect example of this. Although a car certainly can run without an airbag module installed, it definitely does not benefit anyone in the vehicle. If your car has a faulty airbag module or is ridden with hard codes and crash data, it should be reset immediately! Without a properly functioning airbag module, passengers of a vehicle are basically saying no to airbags. That is because without an airbag module, the entire airbag system does not function. As you can imagine, this can pose as a huge problem. Airbags are what prevent many serious injuries and even death from occurring, as they serve as secondary restraints alongside seat belts. The change of momentum and force that an occupant of a vehicle experiences during a collision is lessened with the presence of airbags. 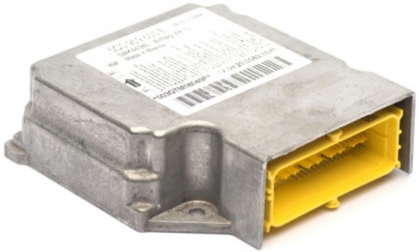 Wondering if your car will run without an airbag module? An owner or operator of a vehicle should check if their airbag module is working at all times. If it is not, a new one should be purchased or the old one reset. If needed, alternative transportation should be arranged, so as not to jeopardize safety in any way. This is a serious matter and shouldn’t be taken lightly. Although some people choose to purchase a brand new airbag module after theirs becomes faulty following a crash, there are other alternatives. Special tools and software could be purchased to reset SRS airbag modules to factory settings at home. The wiser—and more affordable—alternative to that would be to send the faulty airbag module system to a company that specializes in fixing SRS airbag modules. An example of such a company is Safety Restore. What is the driver airbag module? You may have heard people mention driver airbag modules here and there, but not quite understand what it is and what it does yourself. Let me fill you in. 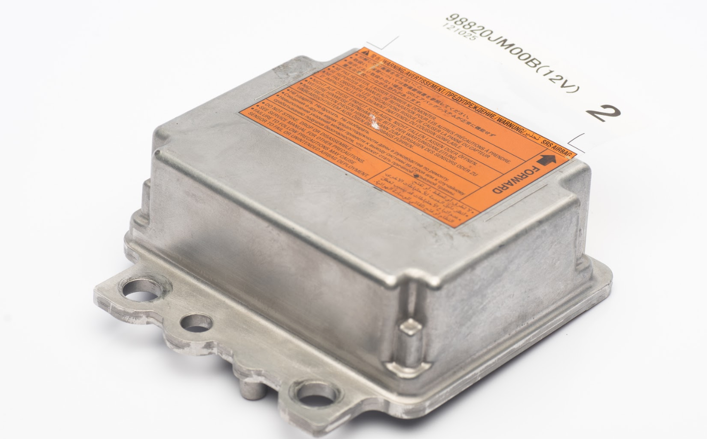 Although the SRS airbag module is a small unit in the vehicle—it serves a crucial role in the overall operation and safety of a vehicle. Explained simply, an SRS airbag module is a computerized mechanism in a vehicle that controls the entire airbag system. When airbags deploy during a sudden stop or collision, the airbag module system stores crash data and hard codes that can only be removed by a complete reset. Some of the crash data that the unit records includes the vehicle speed, brake light switch position, the engine speed, and the throttle position—obtained from up to eight seconds before the impact! The unit may also store the impact speed change, airbag and seat belt pre-tensioner deployment information, and records of seat belt use. This information is stored in a memory that can be downloaded at a later time. An accident reconstructionist can use this information to piece together the events of a crash, which can then be used for insurance and legal purposes. Generally, the records taken from the SRS airbag module are admissible in court. Some other names the SRS airbag module goes by are airbag control module, diagnostic unit, airbag sensor, and computer module. What a driver airbag module looks like. The SRS unit can be mounted in different locations, depending on the make and model of vehicle, but is generally located underneath the driver’s seat. After an accident, drivers have two choices—to buy a brand new airbag module or have the system reset. The latter option is much more affordable and just as effective. Resetting SRS airbag modules and restoring them to factory settings is one of the specialties of the company Safety Restore. When to replace your airbag module. If you do not know what an airbag module is or what it does, you most likely do not know when you need to replace it. For your own safety’s sake, it is important to learn, so let me fill you in. The SRS airbag module in your vehicle is a tiny unit generally located beneath the driver or front passenger seat. Even though the unit is relatively small, it serves a big role in preserving occupants’ safety on the road. This is because the entire airbag system—which includes the airbags themselves, the impact sensors, and seat belt pre-tensioners—depends on the SRS airbag module. Without a properly functioning module, or without one altogether, the airbags would not be able to deploy during an accident. As you can imagine, that can result in a greater possibility of injury or even death. 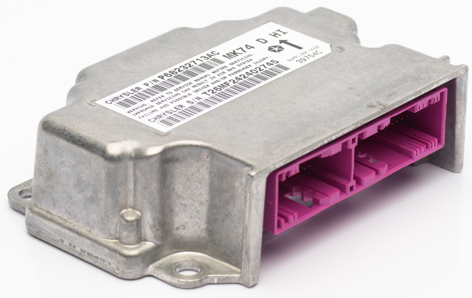 Wondering when to replace your airbag module? – This is what a SRS module looks like. When a vehicle has been involved in an accident, the SRS airbag module picks up the information during the crash such as the vehicle and engine speed, seat belt use, throttle position, seat belt pre-tensioner deployments, impact speed change, airbag deployments, and brake light switch position. All this information is stored in the form of crash data and hard codes. 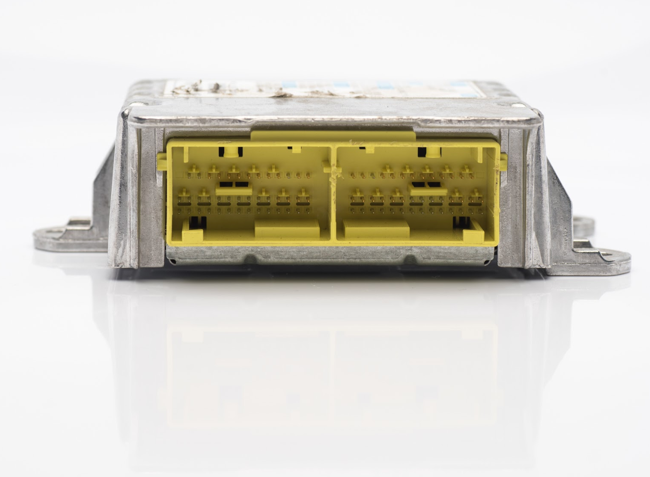 When the unit has all that stored data in it, it is an indication that it needs to be replaced. This would be the proper time to purchase a brand new SRS airbag module or reset the present unit back to factory settings. Otherwise, the airbags will not be able to serve their purpose in the future. You probably won’t want to replace the unit entirely at the dealer knowing that you have an equally safe—and more affordable—alternative. You can send the unit in to a company that specializes in resetting SRS airbag modules: Safety Restore.